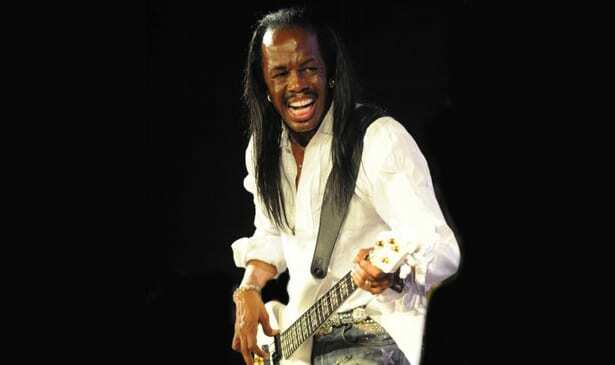 NASHVILLE, TN — Two of the most successful and critically-acclaimed bands Earth, Wind & Fire and CHIC ft. Nile Rodgers announced today 2054 The Tour, which will travel across 20+ North . The tour, promoted by Live Nation, will take the multi-platinum selling groups through major U.S. cities, that includes Nashville on August 17, 2017 at Bridgestone Arena. The 2054 The Tour will feature a special guest DJ and a specialized seating configuration toward the front of the stage where seats will have additional space between them to encourage audiences to dance the night away. “Nile Rodgers and CHIC are legendary for their iconic style, song, sound, and groove,” said Philip Bailey, co-founder of Earth, Wind & Fire. “There was a time when we could only dream of ‘seeing’ Earth, Wind & Fire live, now we get the honor of sharing the stage together. Get your feet ready for a deluge of hits,” stated Nile Rodgers of CHIC and the Rock n Roll Hall of Fame. Most recently, Nile Rodgers was honored with an Award for Musical Excellence from the Rock and Roll Hall of Fame. Earth, Wind & Fire was inducted in 2000. With multiple #1 hit singles between Earth, Wind & Fire and CHIC ft. Nile Rodgers, 2054 The Tour will feature non-stop entertainment from two of America’s most legendary musical groups. TRIBUNE: My last question here but the Mayweather-McGregor fiasco, who do you think’s going to take that one? V. WHITE: “I don’t know, but I do think it’s going to be very entertaining that’s for sure.” (he laughs).